Botanical Name: Rheum officinale, R. palmatum and R. tangutucum. All three species are known by the common English name Chinese rhubarb. Garden rhubarb (Rheum rhabarbarum), the familiar red-stalked rhubarb used in cooking in Europe and North America, is a different species and may not have the same medicinal properties. Note: in botany, the species names “officinale” or “officinalis” denote a plant that was named for its known medicinal use. Other Common Names: Turkey rhubarb or East Indian rhubarb. The Chinese name is yào yòng dù guan. Habitat: Chinese rhubarb is endemic to China where it is traditionally used as medicines. Rheum officinale, R. palmatum and R. tangutucm go by the name “Chinese rhubarb” in Western herbalism. 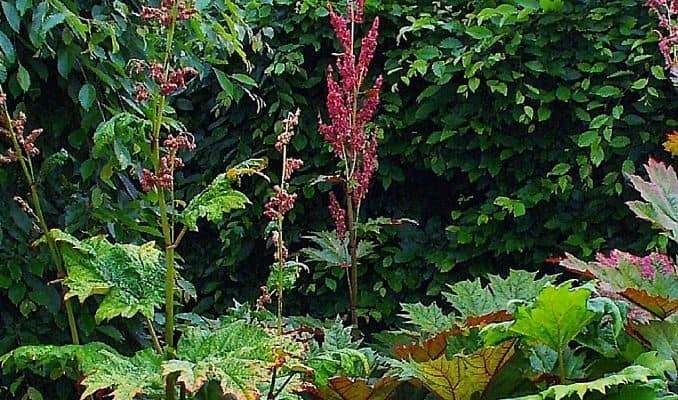 Chinese herbalists and botanists, however, do make a distinction between the rhubarb species growing in south China (R. officinale) and the two species (R. palmatum and R. tangutucm) that are indigenous to the northern part of the country. One or more of these species are cultivated on a large-scale in China and now Korea. Chinese rhubarb is a hardy species and often escapes cultivation and becomes wild. The plant persists as a weed in many gardens and roadside ditches. It thrives in full sun and well-drained soil. Description: The three species of Chinese rhubarb are similar looking plants that can grow to as much as six feet. They all have tall flower stalks and large leaves close to the ground. The leaves are slightly triangular or heart-shaped; the shape varying by species. The flowers are white or reddish-pink. Although very similar looking, these three species have been confirmed to be genetically and phytochemically distinct. The plant often spreads by roots growing from the thick rhizome. Plant Parts Used: In herbal medicine, it is the roots of the plant that are used and not the stems or leaves. The leaves are poisonous and should never be eaten or fed to animals. The dried root is ground into a yellowish-orange powder. 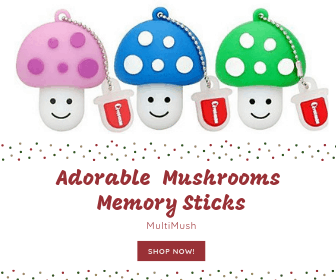 It was cultivated as a medicinal plant in China as early as 2700 BC. Trade between Venice and the Orient brought Chinese rhubarb to Europe where it was used medicinally beginning in the 17th century. The traditional use of the herb has been as a laxative, to relieve constipation and purgative. It is also been used in folk medicine as an astringent and to treat stomach tumors. 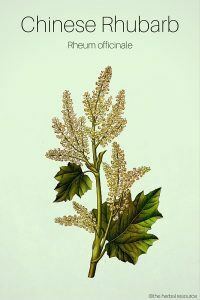 Some of the medical compounds present in the root (not the stems or leaves) of Chinese rhubarb do in fact have multiple applications in medicine. The active chemical compounds in Chinese rhubarb are aloe-emodin, chrysophanol, emodin, physcion, rhein, and sennoside –a and –b. Chemical analysis has most often be performed on two of the three species: R. palmatum and R. officinale. The chemical composition of R. tangutucum is less well-known – perhaps because it is less used in traditional herbalism and therefore has not attracted as much interest from scientists and drug developers. Rhubarb’s efficacy as a broad anti-septic is also well-established both by traditional use and scientific study. The root contains a number of bactericides and viricides and some of these chemicals, such as chrysophanol and rhein, are also active against yeast (Candida). Additionally, the root has been used to treat some of the symptoms associated with menopause. Learn more about herbs for yeast infection. Learn more about herbs for menopause. There are a few studies in recent years that point to the potential of using [easyazon_link identifier=”B00EUGQDRO” locale=”US” tag=”herbal-resource-20″]Chinese rhubarb root extract[/easyazon_link] to regulate weight and treat type 2 diabetes. The substance stilbene rhaponticin found in the herb was found to be effective in experiments on rodents, either as a single chemical agent or in combination with other herbal extracts. Learn more about herbs for diabetes. Learn more about herbs for weight loss. Chinese rhubarb root has been studied as a source of possible cancer medicines. Because the medicinal root has long been used as a ‘cathartic’ or body cleanser it has also attracted the attention of scientists and physicians looking at how early cancerous or pre-cancerous cysts and tumors might be eradicated. The candidate anticancer agents in Chinese rhubarb root are aloe-emodin, chrysophanol, emodin, gallic acid, and rhein. The chemical action of the anthraquinone emodin is described in a review of Chinese herbs for cancer treatment. The authors conclude that emodin can be a useful herbal treatment alongside conventional chemotherapy. Interestingly, the herb has proven able to lower the multi-drug resistance of cancer cells. As a laxative, rhubarb root is usually taken as a powder dissolved in water. There is no consensus on what the minimum effective and safe dose is. The standard dosage, as recommended by the World Health Organization is between 10 and 30 mg of the anthracene derivatives (the active ingredients) per dose. However, it should be noted that not all commercial root powders will have been tested for their chemical content, and they may not all conform to the standard. The leaves of all rhubarb species must be avoided as they contain toxic concentrations of oxalic acid, leading to kidney failure. The root of the plant is non-toxic and it is the root which yields the medicinal extracts. However, it is the case with many herbal medicines that a compound that is beneficial can also be toxic at higher concentrations. It has been shown that long-term use of anthranoid derivatives (which includes many of the active compounds in rhubarb root) can lead to liver damage. Also, these same compounds that might fight cancer can also, with the exception of rhein, be mutagenic, i.e. cancer-causing. It is for these reasons that the sustained use of this medicinal plant is not recommended and some restrictions have been put on its use. Less severe side effects from the use of Chinese rhubarb root as an occasional laxative can include diarrhea, discoloration of the urine and a temporary loss of body electrolytes such as potassium. Loss of electrolytes may become serious if the diarrhea is severe. Those who suffer from gastrointestinal conditions such as colitis or irritable bowel syndrome should avoid using rhubarb root. Wang, X.-M. Inter-simple sequence repeats (ISSR) molecular fingerprinting markers for authenticating the genuine species of rhubarb. J. Med. Plants Res. Vol. 5(5), pp. 758–764. World Health Organization. WHO Monographs on Selected Medicinal Plants. (Vol ) Geneva: WHO, 1999. Chen J, Ma M, Lu Y, Wang L, Wu C, Duan H. Rhaponticin from rhubarb rhizomes alleviates liver steatosis and improves blood glucose and lipid profiles in KK/Ay diabetic mice. Planta Med. 2009 Apr;75(5):472-7. Amin, K. A., and M. A. Nagy. Effect of Carnitine and herbal mixture extract on obesity induced by high fat diet in rats. Diabetol. & Metabol. Synd. 2009, 1:17 . Vollmer, G., A. Papke, and O. Zierau. Treatment of menopausal symptoms by an extract from the roots of rhapontic rhubarb: the role of estrogen receptors. Chinese Med. 2010, 5:7. Tan, W., J. Lu, M. Huang et al. Anti-cancer natural products isolated from chinese medicinal herbs. Chinese Med. 2011, 6:27. Chai, S., K. W. K. W. To, and G. Lin. Circumvention of multi-drug resistance of cancer cells by Chinese herbal medicines. Chinese Med. 2010, 5:26. Westendorf, J. Anthranoid Derivatives – General Discussion. In: Adverse Affects of Herbal Drugs. (Eds. Smett, Keller, Hänsel, Chandler) Vol. 2, 1993. Berlin/Heidelberg: Springer. Aronson, J. K. (Editor) Meyler’s Side Effects of Herbal Medicines. Amsterdam: Elsevier, 2009.